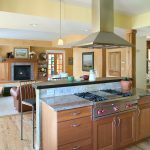 This Boulder home was an extensive remodel which completely changed both the layout and the style of the home. 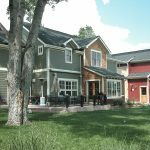 The project includes a full new second story and complete interior remodel to reconfigure the existing area for a more efficient use of space. The remodeled home connects to a new detached two story garage with a breezeway on both levels, and the upper level of the garage provides the family a separated recreation room. The new home provides abundant open areas for the family to interact, yet is designed to also provide areas of private space.